PDP Chairmanship: I won’t be intimidated out—Dokpesi – Royal Times of Nigeria. 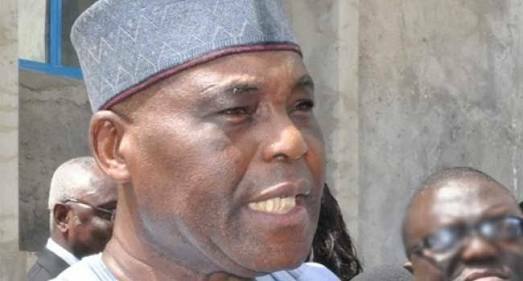 Chief Raymond Dokpesi, a top contender in Saturday’s Peoples Democratic Party (PDP) National Chairmanship election has said that he would not step down for any other aspirants or bow to pressure to drop his ambition. Mr Idea Eguabor, the Director, Chief Raymond Dokpesi Campaign Organisation in a statement issued on Thursday in Abuja said it was important for delegates to the PDP convention to know on time ahead of the election. Eguabor said the clarification was important following some speculations that Dokpesi had succumbed to political pressure and agreed to drop out of the race. “Nothing can indeed be further from the truth. Chief Dokpesi is not only a front runner but remains the aspirant to beat at the convention grounds on Saturday. “We urge teeming members and party delegates to disregard and ignore such cheap and diversionary antics aimed at causing ill wind in the PDP. “Chief Dokpesi will not step down and those who wish so are advised to redirect their energies to campaigns that will benefit their aspirants rather than dissipate positive energy in negative direction. “The national convention is the first effort by the PDP since inception at entrenching an internal democratic process that will deepen our democracy. Eguabor said that the delegates would decide every contestants faith. “We should all agree to abide and accept by the convention decision. The process must be free, fair and credible,” Eguabor added.